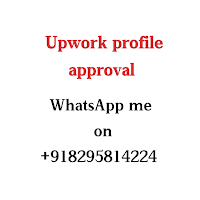 Hi, Recently I answered all your answers in the last post - Upwork questions and answers which client usually asks in upwork job post, these questions are called upwork additional questions. You all were very happy with getting answers to all these questions' answers. But Today what we going to discuss is related to some serious problem and this problem is "Upwork is suspending accounts for both freelancer and clients". Many of us have been experienced this tragedy without getting any notification from upwork about this. People are complaining about this toUpwork community, asking questions on Quora and on other relevant blogs and websites. But according to me, Upwork is doing all this to make it more powerful and trustworthy. So let's discuss why upwork is suspending accounts and what we can do in this situation. Me too have gone through this situation as my partner's account got suspended a few weeks ago. 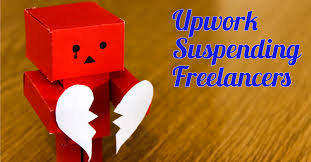 many people saying their account got suspended even they had not violated any terms and condition of upwork and few are accepting that they had violated upwork's conditions in different manners like in the case of freelancers they were sending their email or skype id in the cover letter. Many saying that we were applying for jobs different from their job category . for example android freelancer applying on a sales job. In this situations, few were accepting that they have been applied to many jobs but did not get any reply that's why their account got suspended. So do not do all these things which violate upwork terms and conditions. Read all terms and conditions carefully again. So these are the reasons which are forcing Upwork to suspend their account for a freelancer without any notification. but the same problem is for clients also as few have experienced the same problem. 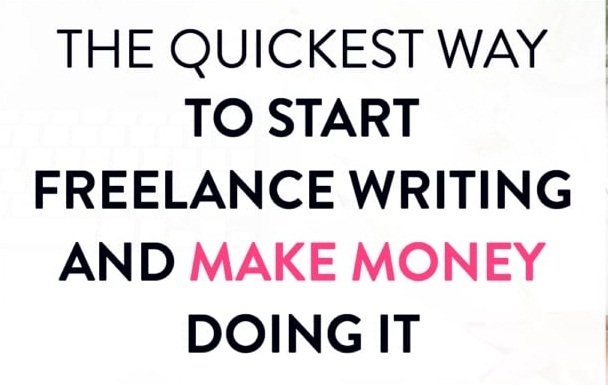 Even few clients had very good profiles with a lot of money spent and had good reviews from freelancers. So what you gonna do after account got suspended, you will complain to upwork help center, you will ask about this on upwork community and on upwork Facebook page. what else you can do? you can wait also :). "if you don't know the reason please contact upwork help. Our next step was we contacted upwork help center through upwork Facebook page. There we told them about our problem and in reply they gave us an email address where we had to complain about this. Then we sent a mail to that email address and explain everything, after 2 days we got a reply where they told me to please submit all your relevant academic and experienced document which are related to your profile and your skills and explain in detail what you think why your account suspended. Now we have submitted all our document but still waiting for the response. But we are sure that we will get back our profile back as upwork is doing all that to protect their value in the market. they are doing this for good reason so just keep yourself calm and do whatever upwork tells you to follow.